ARE YOU OR A LOVED ONE IN NEED OF HOME HEALTHCARE? Comfort HealthCare will provide you with the services you need in the comfort of your home. 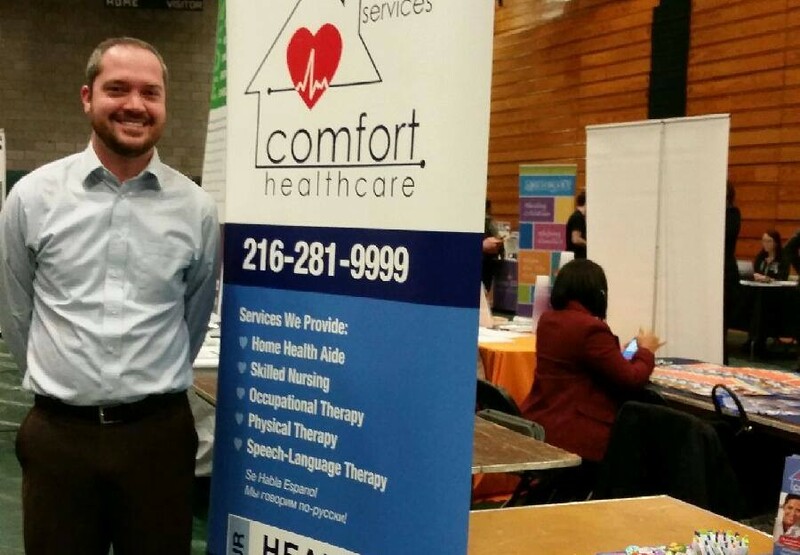 The team from Comfort HealthCare has been on the road at several local career fairs including Cleveland State, Hondros College, and today at the Central School of Practical Nursing on Rockside Road @ 3:00 PM. Learn more about our job opportunities here. Take your first step into a rewarding career with a flexible schedule, competitive pay, and the opportunity to make a significant difference in someone's life. 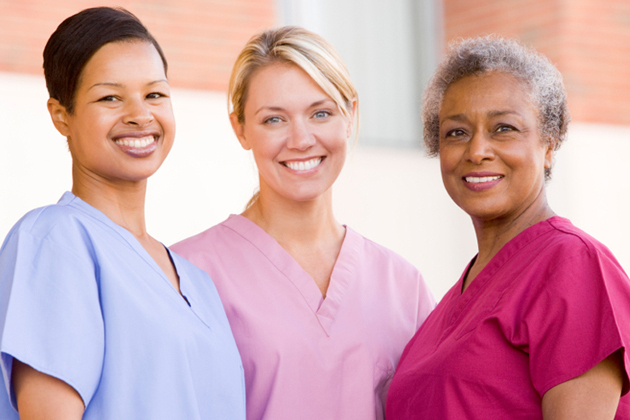 Comfort HealthCare is now hiring RNs, HHAs, and STNAs. Learn more here. You were a hit here. Both you and the nurse were very knowledgeable and caring towards our residents…the stroke and heart handouts provided valuable information. You made it a lot of fun by bringing in refreshments and raffle (prizes). You were very organized and well prepared, making the event a breeze for us! Thank you and Comfort HealthCare very much. My mom went into the hospital due to dehydration. Her air conditioner stopped working, and she needs to be in a cool area because she has M.S. Comfort HealthCare, the agency that provides for my mom, donated an air conditioning unit. I want to thank the agency for such a great help. I will always appreciate the kindness. My mom, brother, and I really appreciate it. Thank you very much! Comfort HealthCare is dedicated to providing you or your loved one with the highest quality home health care available. 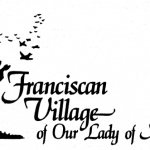 It is our goal to restore our clients' maximum functioning capacity, giving them an improved quality of life. Copyright © 2019 comforthealthcare.com. All rights reserved.